My latest fabric order from Fabricworm just arrived and I’m so thrilled about it, of course. Hello, luxurious solids in tactile weights that feel substantial yet are imminently workable, please let me caress your softness with my aged hands. First up is my new collection of Momo linen blends. These are a teensy bit spendy, but worth every penny – they can be used for home decor, apparel, or craft projects and the weight is so lovely, the fold so delicate… just touching them gets me all excited to make. 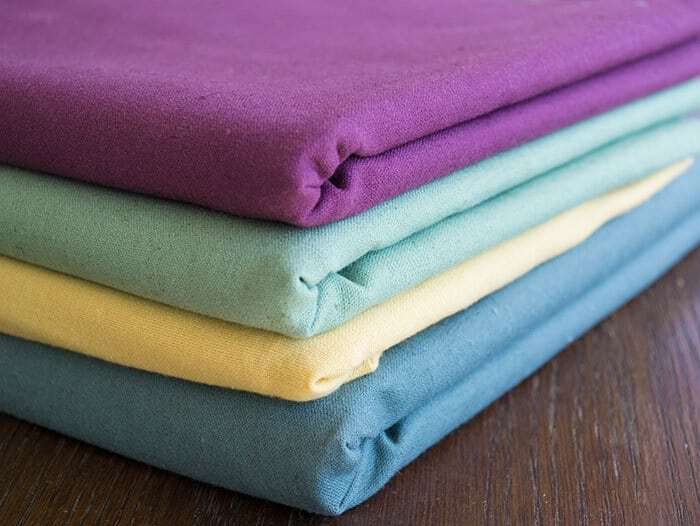 Seen here in Momo, Linen Mochi Solids, Amethyst, Momo, Linen Mochi Solids, Teal, Momo, Linen Mochi Solids, Seafoam, and then also in a butter yellow which is sold out now, sadface. 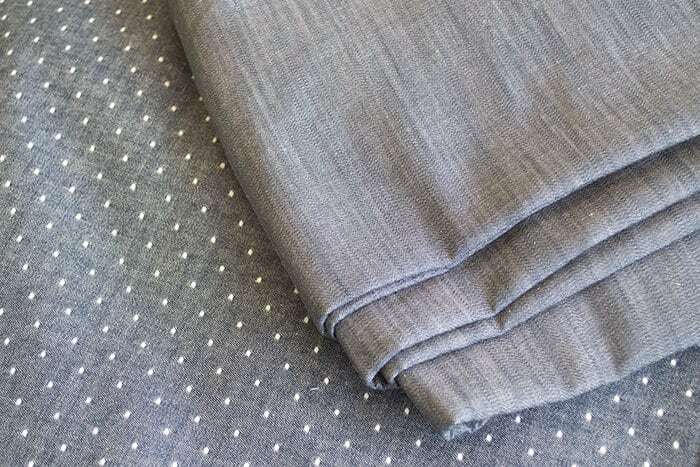 I’m all about Chambray this summer (as we may have previously mentioned, ahem), and the soft, silky, luxurious versions currently on offer at Fabricworm have me all titallated. My first plan is to make (and share a tutorial) for a chambray romper that a grown-up woman such as myself can totally pull off and wear with pride. Here’s the fabric details: Robert Kaufman, Chambray Union, Denim Indigoand Robert Kaufman, Cotton Chambray Dots, Royal. Get them before they are gone, cause they are disappearing fast. The chambray is the perfect weight to make our Most Flattering Dress tutorial for us Hot Mess Mommies or the beloved Easy Summer Mumu tutorial for girls. We used this chambray to create our laundry basket liner tutorial, and I use that beautiful thing every single day and still love it. 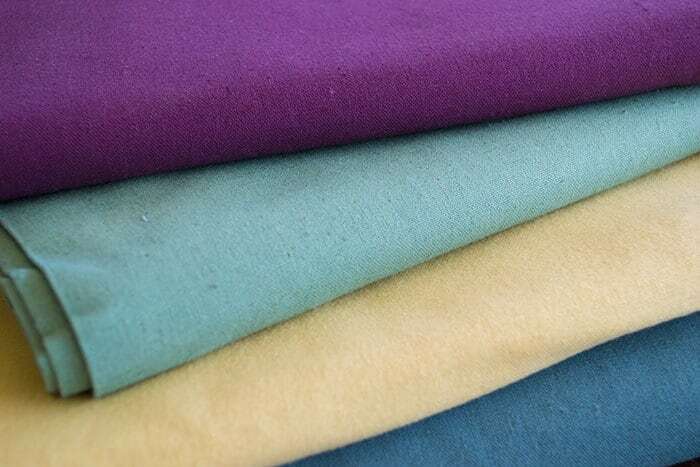 I’m always on the lookout for home decor weight fabric that is neutral enough to be worth upholstering or window-covering with, yet sturdy enough to stand up to home use. 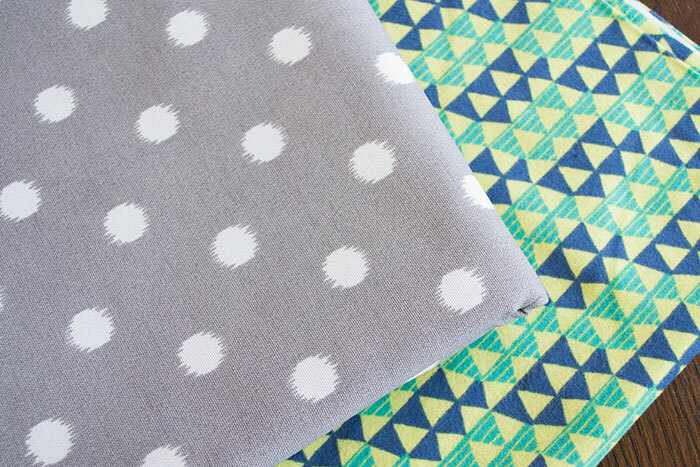 I’m obsessed with my purchase of several years of this Premier Prints, HOME DEC, Ikat Dot Grey. Then, because my daughter is totally SPD and always requests the softest of fabrics, I try to snag the cutest flannel prints. This Allison Cole, Happy Camper, Quilting Flannel is absolutely adorable (only available in the tribal orange colorway now, but both color ways are awesome). Should I make her some new pajama pants with it? Or steal it for myself and make some Operation Sleep Cute Sleep Shorts? Other Pretty Prudent flannel projects you might want to try include Colleen’s ever-popular Fox Scarf, our famous DIY Fabric Slippers, our iconic DIY Swaddle Blanket (Putting Babies into Peaceful Slumber since 2010 TM), our enduring Beginner’s Baby Blanket #3, the Ric-Rac Baby Blanket, or the ambitious but SO REWARDING Nap Mat/ Bed Roll tutorial.